Not too resourceful, she is reluctant to take risks: to put it in one word, US ambassador to Germany called her «Angela Teflon Merkel». 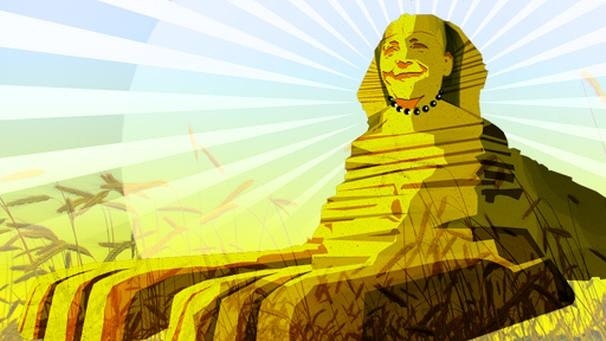 This nickname misses the mark, because in reality Angela Merkel is a sphinx. Nobody can hold a candle to her when it comes to talking in riddles. She can say something that sounds mysterious and then you’re free to construe it anyway you like. You can never be sure you got the message right. Take, for instance, her words about solving the Syria’s crisis, «…there can only be a solution with Russian and not without Russia». That’s exactly what she said on October 1 at the speech in Halle (eastern Germany) to mark the upcoming 25th anniversary of German reunification. What she meant is anyone’s guess. Perhaps, the German leader welcomed the beginning of Russian military operation in Syria? Or it may mean the opposite: the West needs Russia as an actor dancing to its tune. In this case the Merkel’s words could mean that the Moscow’s independent actions were out of place. German Foreign Minister Frank-Walter Steinmeier gave a clue. Probably, the Chancellor meant the second interpretation. For instance, the head of German diplomacy found it relevant to use the podium of the United Nations General Assembly to warn Russia about unilateral steps taken in Syria. It would seem, it’s hard to rebuke Russia for going to Syria on it’s own. Before the United Nations General Assembly session Russia had launched an intensive diplomatic campaign. It had held many official meetings and vastly used all available diplomatic channels. The Russian leader discussed his initiative with the President of the United States. The German Minister fully ignored these obvious facts. At that, the website of German Foreign Ministry published a joint declaration of France, Germany, Qatar, Saudi Arabia, Great Britain and the United States where the governments of these countries express «deep concern with regard to the Russian military build-up in Syria and especially ‎the attacks by the Russian Air Force which led to civilian casualties.» No wonder, the declaration appeared on the website in English without translation. There is nothing to be surprised about and there is, actually, no need for comment. Steinmeier made a speech at the UN General Assembly session in New York. 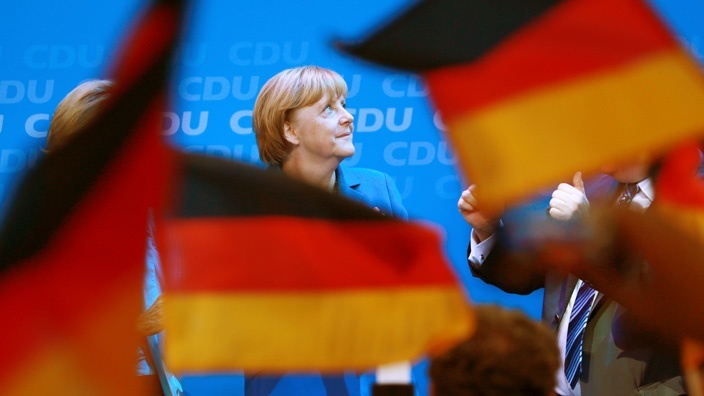 Normally Germany shies away from outright criticism of Russia’s actions. It prefers lecturing. This approach is evidently inappropriate. «Instead of lone decisions by individual countries, most recently Russia, to start taking direct military action in Syria, we need Russia to take political action advocating transition in Syria», Steinmeier said. A honey tongue, a heart of gall! In his United Nations address Israeli Prime Minister Benjamin Netanyahu hit the nail right on the head saying the West is deceiving itself. It is impossible to «turn the rapacious tiger into a kitten», he stressed. The results of Western interventions into the Muslim world (from Afghanistan to Libya) confirm this truth. No matter that, the West continues with maniacal persistence to pursue the goal of toppling the legitimate head of state and regime change. What should be done in Syria to stop bloodshed? According to Steinmeier, the brutality of the Assad dictatorship should end. The Islamic State should be broken. He believes that the main thing is to get rid of Assad. Of course, it is not declared in such a peremptory manner as the British usually do. For instance, they say that Assad is a greater evil than the Islamic State «jihad warriors» who have destroyed Palmira and publicly beheaded their enemies with fanaticism of Middle Ages torturers… The Islamic State terrorists openly say they want to slaughter all Christians and throw their bodies into the sea. Perhaps, the British believe this is the evil one can put up with, but I doubt they are ready to personally share the fate of Syrian Christians doomed to die in the hands of terrorists. The German diplomat avoids such clumsiness, but the essence remains the same. The West magnanimously agrees to let the Syria President join the talks on peaceful management only to throw him later, so to speak, on the ash heap of history. It may not be done in such a brutal way as in Libya, where Muammar Gaddafi was butchered by valiant freedom fighters. But what’s the difference? In France they have already launched legal proceedings to investigate the «crimes of Assad». It’s known how such legal proceedings are organized. It’s enough to remember the scandalous kangaroo tribunals established to sue Serbs. «It’s great to know that Russia does not hesitate to act! We should be happy and grateful to the Russian government that puts money and effort to establish peace. We can only hope the United States and other Western powers will follow the example of Russia and join the fight against the Islamic State», says an emotional reader’s comment on a German Zeit article reporting the first strikes of Russian aviation against the terrorist groups in Syria. It would be naïve to believe that the majority of Germans think along the same lines. Especially in the conditions when German media makes people fear that the conflict between Russia and the West may exacerbate and migrant flows from Syria will increase as a result of… the Russian air strikes, you guessed it right. Refugees are a special issue for Germans. According to official data, 163 thousand people asked for asylum in September. Bavarian Internal Affairs Minister Joachim Herrmann has said 270-280 thousand people have entered Bavaria last month. Now the refugees from Syria account for the majority of those who come to Bavaria. The Anglo-Saxons continue the old tradition to have Germans reined in. With usual hubris they condemn them for their barbaric xenophobia: for instance, the Canadian government has formally alerted its citizens of the dangers of visiting Eastern Germany in view of growing neo-Nazi sentiments there. No doubt, this warning was not actually addressed to the Canadian citizens (they hardly face any threat in Germany) but rather to German elite. It’s worth to note that the Canadian government did not notice mass protests under Nazi slogans taking place in the neighboring Poland. With all this propaganda spread, many Germans ask themselves a question: why does Steinmeier criticize Russia for taking unilateral actions? Why not the United States? «He does not want to do it? Or, may be, he is not allowed? If so, who told him not to? In what manner was it done? Is he under pressure? Is Germany also under pressure? Could anybody explain? I’m curious!» – a Spiegel internet-forum user asks persistently. These are interesting, but, alas, rhetoric questions.